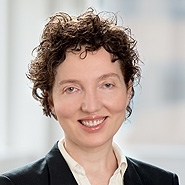 Partner Irena Royzman will moderate a panel entitled, “The PTAB Live: Thoughts on Practice, Procedure, IPRs and More in the World of Pharmaceutical Patent Validity Challenges” at the Paragraph IV Disputes Master Symposium in Chicago. IPRs have become an important component of the Hatch-Waxman arsenal. As such, knowing the “ins and outs” of PTAB practice is a critical competency for today’s Hatch-Waxman petitioner. To help petitioners with this task, Hon. Jacqueline D. Wright Bonilla and Hon. Michelle N. Ankenbrand of the PTAB will discuss protocols and the art of appearance before this administrative body.